Because we’re really proud of how our approach to public services has evolved over the past few years, we wanted to share these successes with our colleagues. Back in November, we submitted a proposal to put on an hour long session titled “Keeping It Fun! 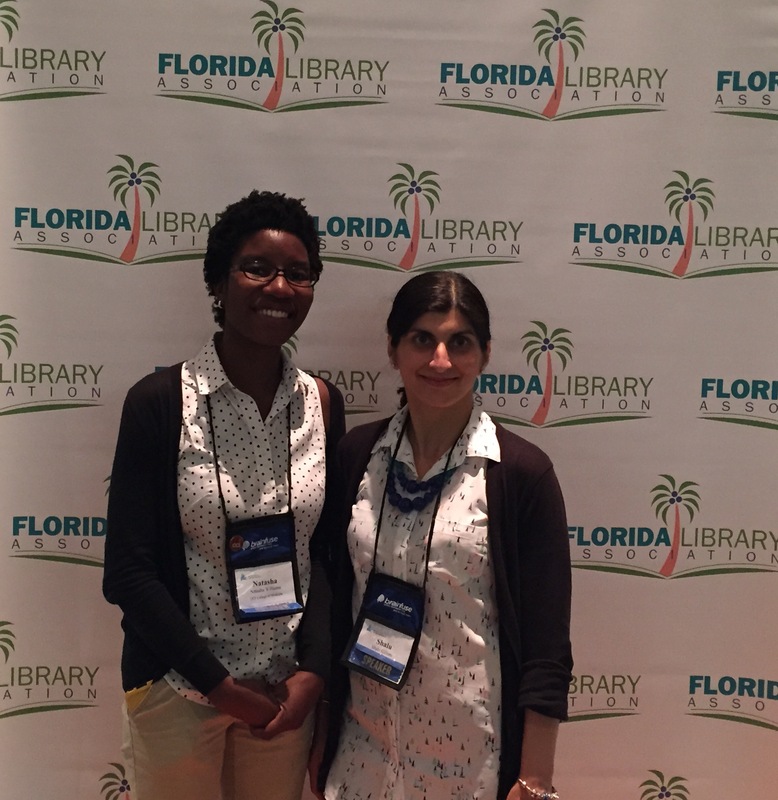 Innovative Ways to Build Relationships with Library Users”, which was accepted! It was a lot of fun to show everyone how much we enjoy working with all of you, and how your feedback is vitally important to how we operate and improve on the services we provide. We had quite the packed house, too! Of course, we can’t talk about our services without mentioning Popcorn Day. We all had a good laugh about how well-received this particular event is. Check out this video below that our co-worker Raney put together especially for this portion of the presentation! Overall, FLA 2015 was a good time. We had a chance to sit in on a variety of sessions, from website traffic data analyzing, to making use of 3D printers. We had a few tweets over on our Twitter account throughout the conference under the hashtag #flacon2015 if you’d like to check those out. Next week, we’ll have Part 2 of this post; our recap of the trip to Austin, TX for the Medical Library Association’s meeting! ← You Asked, We Answered: Here’s What You Asked Edition!